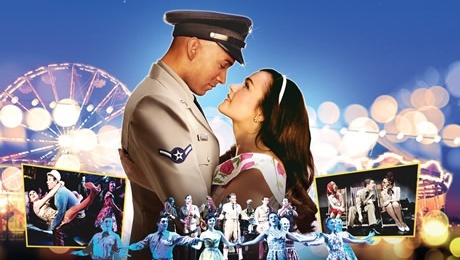 From the team that brought you the huge success that is Dreamboats and Petticoats, Save the Last Dance for Me will take you back through the ‘music and magic’ of the early 60’s, a time when each passing week brought another Rock ‘n’ Roll classic. This nostalgic, feel-good journey will transport you back to music’s golden era as we follow two teenage sisters through the summer of ’63. The production will start its UK tour at New Wimbledon Theatre from Tuesday 12 April, coming to the King’s Theatre Glasgow fromTuesday 3 until Saturday 7 May. ANTONY COSTA (Milton) has previously appeared on stage in Blood Brothers (West End) and Boogie Nights (UK Tour). He is best known as one of the members of BLUE, the biggest British boy band of the Noughties, who enjoyed chart success with three number one albums, and 11 Top Ten singles, including their debut song All Rise. Blue, which also included Simon Webbe, Lee Ryan and Duncan James, disbanded in 2004 but then reunited in 2011, and that year they represented the UK in the Eurovision Song Contest. This year they released their fifth studio album Colours before embarking on a UK tour.